The Value Discount Plan, a viable solution for individuals who no longer having a traditional dental plan, hopes to capitalize on the recent NADP report that employee dental benefits declined 5.7% in 2010. The 5.7% dip reflects about 10 million fewer Americans with dental coverage. 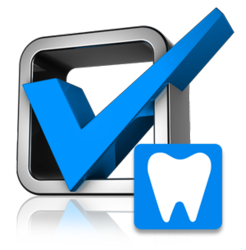 Employer sponsored dental benefit enrollment declined by 5.7% in 2010, according to the National Association of Dental Plans. It's the first drop in dental enrollment since 1994, the year NADP began tracking enrollment. The Value Dental Plan, which hopes to capitalize on the decline in employer sponsored dental insurance, is not traditional insurance but rather a program providing significant discounts to its members with over 50,000 participating dentists across the US. The "2010 Dental Benefits Enrollment Report," issued by NADP and Delta Dental Plans Association, revealed that only 166 million Americans (54%) were covered by some form of dental benefit through group or individual plans in 2009. The 5.7% dip reflects about 10 million fewer Americans with dental coverage, compared to 2008 figures. Still, enrollment from 2006 through 2008 increased in line with U.S. population growth, remaining steady at 57%, according to the research. "While total enrollment significantly declined in 2010, the number of employer groups offering dental benefits remained consistent, compared to the previous year. Based on data submitted for the report and other industry studies by LIMRA and NADP," says Evelyn F. Ireland, executive director of NADP. The recession and a stalled economy contributed, in part, to decreased enrollment. "The reduction in subscribers in some employer groups in 2010 most likely reflects family financial constraints and layoffs. Employers are now turning to programs like the Value Dental Plan to provide an alternative to eliminating traditional dental plans. With discounts ranging from 20%-50% employees and covered family members can still obtain the essential dental services without having to pay full price. Under a group billing format the Value Dental plan has pricing 80% lower than traditional dental programs. Value Discount Plan is a discount program that gives substantial savings on Eye Care, Dental, Hearing Aids, Chiropractic Care, Prescriptions and Vitamins. It's dental plan provides coverage at over 50,000 dentists nationwide. Value Discount Plan is based in Chicago, Illinois.